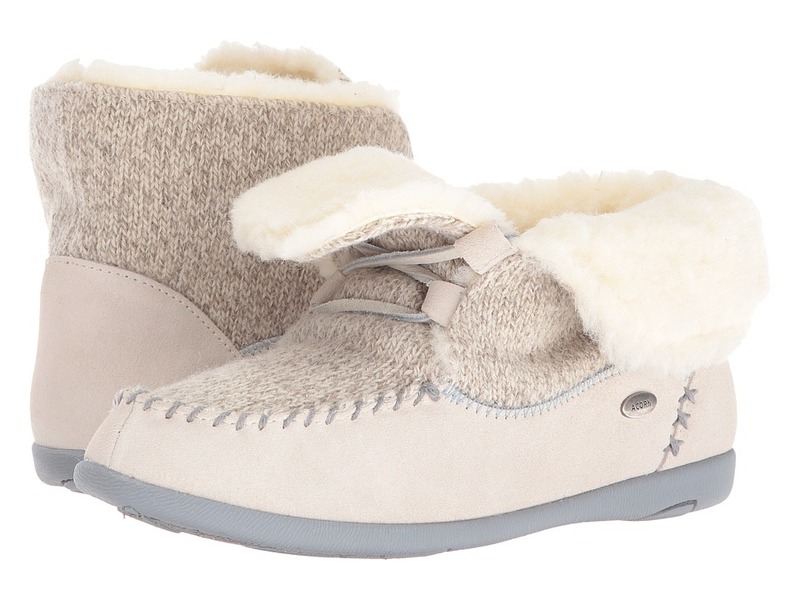 Limit your errands and enjoy more time cruising around in the Acorn Chinchilla Scuff. Cushy faux fur lining for added comfort and warmth. Multi layer cushioning heel to toe with built-in arch support. 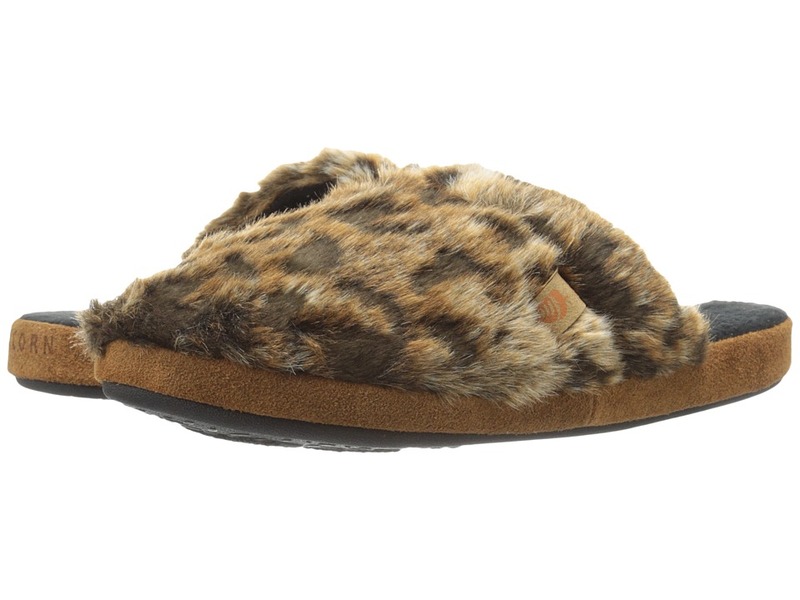 Keep it wildly toasty in the Moc Wildside slipper by Acorn. Vegan suede upper with wild print details. 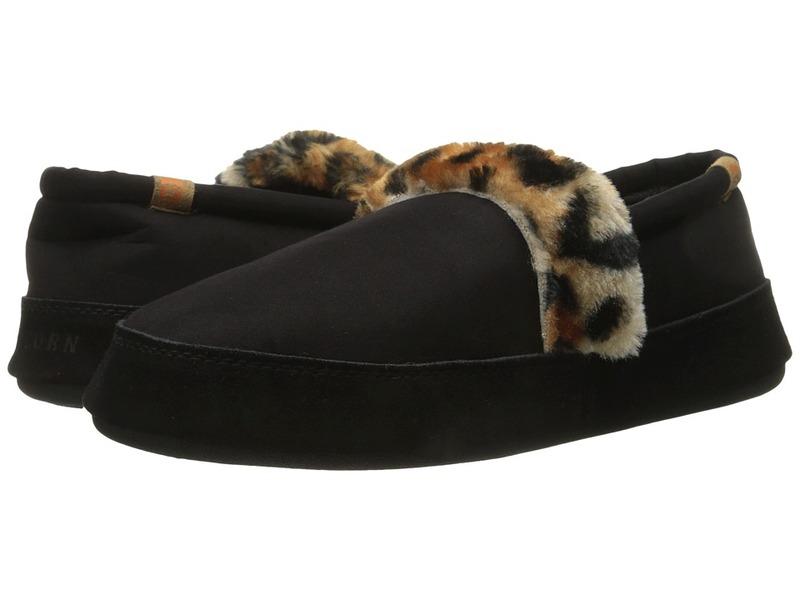 Super soft faux cheetah fur linings. Premium, multilayer cloud cushion footbed. Fancy your feet in the Prima Moc w/ FirmCore by Acorn. Stain and water-resistant suede upper with embroidery and beaded detail. Removable FirmCore footbed with dual-density technology. 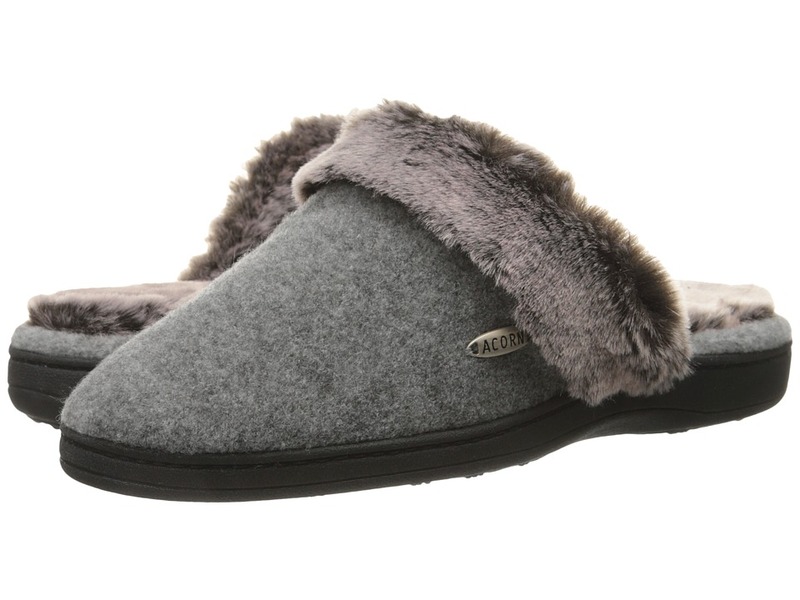 Enjoy staying at home in the cozy Scuff slipper from Acorn. Textile upper and lining in a colorful silhouette. Fully contoured footbed made from molded CFC-free PU with enhanced heel and arch for the utmost in comfort. Embrace the unbelievable comfort of the Acorn Slopeside Boot. Acorn sandals are made with care, craft, and quality. Super comfortable footbed ensures that these sandals will be your favorite. Sandals feature a plaid design and a cushioned insole. Be comfortably you in these Acorn sandals. Acorn slippers are made with care, craft, and quality. 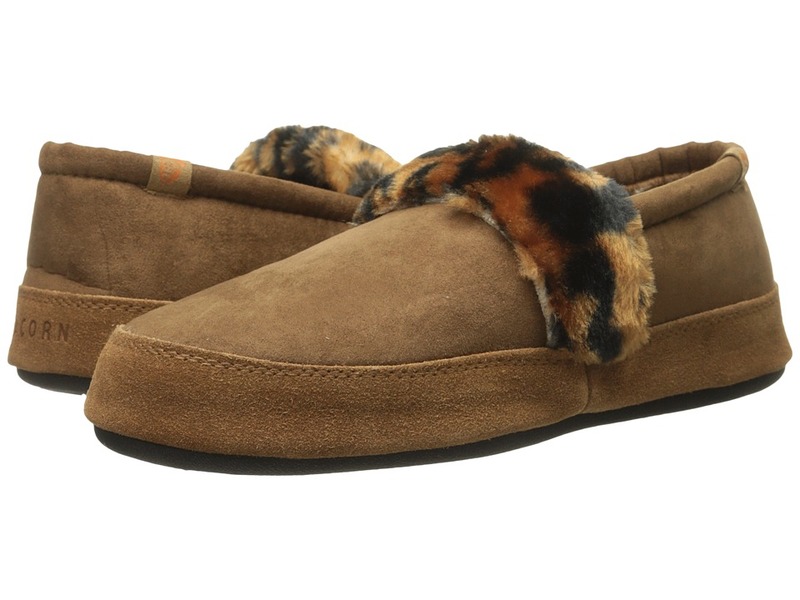 Super comfortable plush footbed ensures that these slippers will be your favorite. Feature a skid-resistant sole. 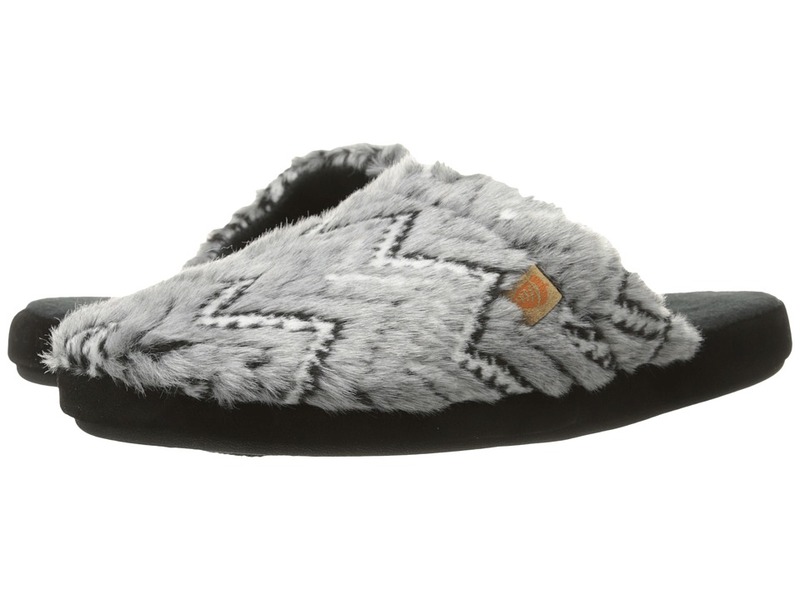 Be comfortably you in these Acorn slippers. Acorn sandals are made with care, craft, and quality. Super comfortable footbed ensures that these sandals will be your favorite. Sandals feature a starfish design and a cushioned insole. Be comfortably you in these Acorn sandals..